Brown Commercial negotiates 22,280 SF of suburban Chicago transactions | Brown Commercial Group, Inc.
Brown Commercial Group senior associate Mason Hezner negotiated three transactions totaling 22,280 square feet in Elk Grove Village, Illinois and Buffalo Grove, Illinois. Hezner represented Stanton Mechanical, a mechanical contractor, in its purchase of an 18,834-square-foot building at 2301 Estes Avenue in Elk Grove Village. Transwestern’s Justin Lerner and Ross Lehrman represented the seller, MWB Property Trust #11970, in the transaction. The building’s sale price was $1.08 million. The building is located close to I-90 and Route 83, and has capabilities for heavy manufacturing. A new high-bay addition to the building was constructed in 2009. Hezner also represented Chicago Quick Clean LLC in consolidating several office spaces into one 1,946-square-foot lease at 1360 Busch Parkway in Buffalo Grove. The landlord, Van Vlissingen & Co., was self-represented by Nicholas Panarese. 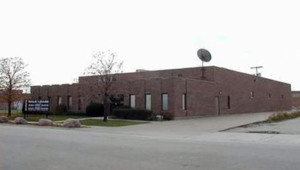 Finally, Hezner represented Lynda Utterback, a private investor, in the disposition of a 1,500-square-foot industrial condo at 1028 W. Devon Avenue, Elk Grove Village. Allen Paul of Sheffield Group, Inc. represented the buyer, Mazal Investments, LLC. The space will be used for Quick Key Locksmith, LLC.